Although there are many books on women in the ancient world, this is the first to explore in depth what life was like for women in the period of late antiquity (3rd to 6th centuries AD) once Christianity became the dominant religion. 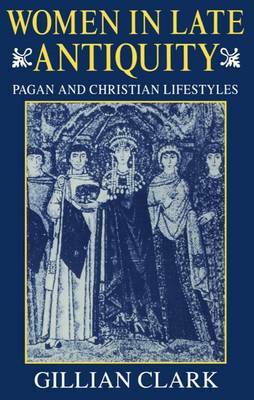 It is also unique in focusing on both pagan and Christian lifestyles. Dr Clark provides a fascinating and comprehensive introduction to the basic conditions of life for women: marriage, divorce, celibacy, and prostitution; legal constraints and protection; child-bearing, health care and medical theories; housing, housework, and clothes; and ancient, some still influential, theories about the nature of women. The author uses a wide range of source material - both Christian and non-Christian writings, art, and archaeology - to illustrate both what life was really like and the prevailing "discourses" of the ancient world.